Andy is the younger brother of Ned and Tally's twin. 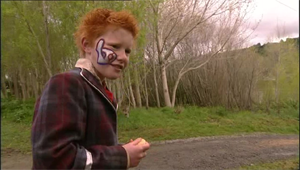 He is first seen in series three, when together with Ned and Tally, he captures Pride and tries to trade him to the Chosen. The plan backfires and he and his siblings end up Chosen prisoners in the Mall alongside the Mall Rats. With Ned focused on his own exploits and a budding romance with Alice, Andy begins to spend more time with KC, who becomes his role model. It's through KC, together with Tally, that Andy learns the tricks of trade, even sometimes duping KC. 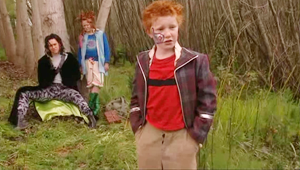 At the start of series four Andy goes with KC and Tally to see the invading planes and is never seen again. It's presumed, like so many others that disappeared at the time that they were taken by the Technos. Andy is quite the entrepreneur - he is always looking out for a good deal or to make a profit and runs a scam whenever is necessary. He learns that this is a good way to survive in this new world. On the other hand, he cares for Ned and Tally and will do what he can to make the new world order a good one, where people look out for each other. Andy has red hair, like his twin sister and wears only one costume during the series. His jacket is plaid, and trousers are beige, the shirt is red with a black stripe and he has red shoes. His trousers also have red buckles. On one side of his face he wears a symbol done in silver make-up that is outlined in a darker color. It is a very simple costume in comparison to some others.